A very quick project - and - No Sewing Up! 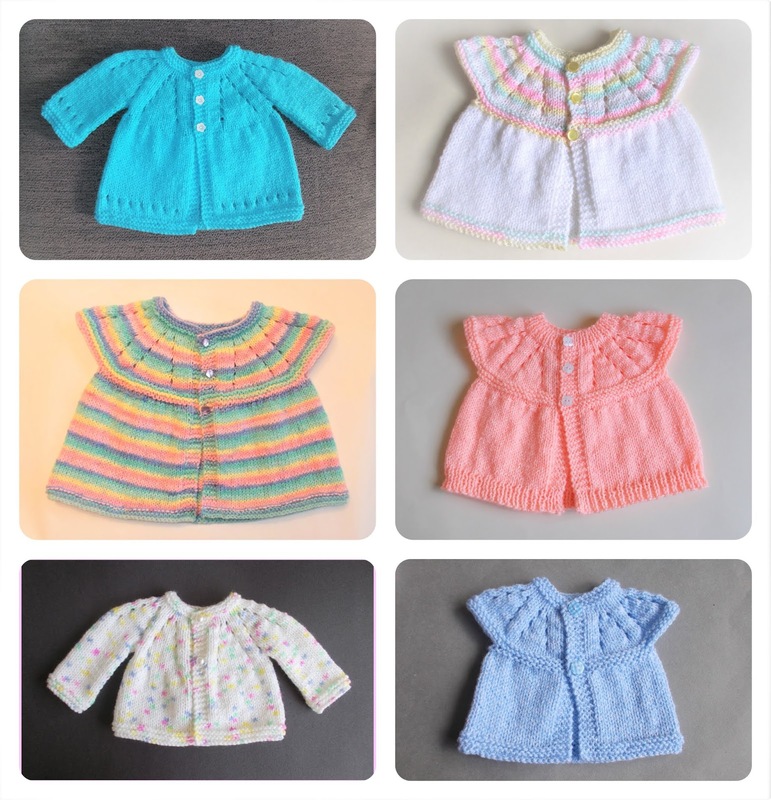 I have been knitting these cute little baby tops & thought you might like to make them too. ..... and are a perfect little gift for a newborn baby. For a nice variation rib the first and last 5 rows. Would you like to make a matching hat ? Thanks for sharing! Those tops are so sweet! thank you so much for this sweet pattern, I have knitted it befor,but lost the pattern! Beautiful! Knit items always look so timeless - I love them. 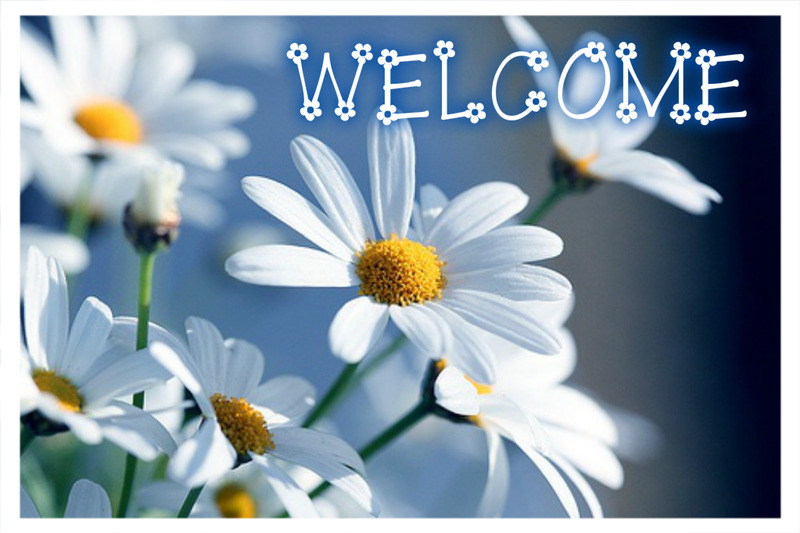 Thank you for linking up at Link & Share Wednesdays! Hello! I took the liberty to translate your pattern for portuguese, I hope that's alright. I gave you all the credit and placed a link to the original pattern! Many of my friends loved this pattern and wanted in portuguese, so I translated for them and placed it in my blog. If you don't want your pattern in my blog just say it and I will remove it! I am so happy you like my design Betina. I just had a look at your lovely blog. 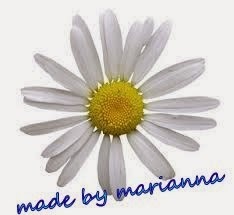 Thank you for mentioning me - and for linking back. It gives me great pleasure to think that there are people all over the world making my patterns. Thank you for the pattern. I've made it as my very first finished project in knitting. Mine is not perfect but it's cute. Very best wishes for many more projects and 'happy knitting'. Thank you Trace. Glad you like them. This has always been one of my most popular pattern designs - lots of people asked for a larger size!! any chance of bigger sizes? I would love to make this for my 2 yr old granddaughter. I am glad that you like my little sleeveless top. I am nearly finished a cardi i seem to be doing well but just have a gut instinct it maybe too small. But have enjoyed every little moment of it. I hope your little baby top was OK in size. Newborns do vary quite a lot! How do I download or print the pattern? The easiest way is to copy & paste the pattern instructions into a Word or other text document. You will then be able to print it or read your document whenever you want to. Thank you for your lovely message Chavie. And I am glad you enjoyed making this cute little baby top. Adorable little top! And you show it in Bernat's Baby Jacquards Florals, the yarn I want to use, so I know mine will turn out cute! Thank you!! I thought you might like to know I just added instructions for a 3month baby version. Is it possible to have a long sleeve version? We are a charity knitting group in London UK knitting for the disadvantaged both in the UK and abroad. It is such a cute pattern but we do need longer sleeves. Many best wishes - Maureen Jackson, London UK. Hi, I was just wondering if you have this pattern for a three year old, as I love the top piece. if not how can I adjust it. hi I've just started knitting the first pattern you put on this page and i'm still pretty new to knitting. I've got to row 9 and at the end it says 75 stitches does that mean I need to increase to 75 stitches now and if so how do I do that ? My knitting group is using your pattern for the NICU unit of McMaster Children's Hospital, Hamilton, Ontario, Canada and we love it. We have however been requested by the unit to provide long sleeves. Is there a pattern version for long sleeves? Please and thank you. This was so fun to knit. My first garment to knit, that is why I chose this easy one. And I was excited to get it done and find how easy it was to knit. The instructions are simple, precise with no problem to follow. I choose the Dippity Dots because I fell in love with them and had to try it. I have 2 people that need one for a baby already here! Hi Marsha. I am delighted to know that you enjoyed knitting your first garment - and am really happy that you chose my pattern design. There will be no stopping you now.......... Very best wishes and happy knitting. Is there a 7-8 size in this top? My GGD is only 5 but very big for her age and just won't fit a 4-6. I want to make matching tops for herand "baby Sister". Hi Sue - I am writing a larger size - but in the meantime how about knitting this in aran (10ply) yarn instead of DK (8ply) yarn? This will give you the size you need - but it will be a bit thicker too of course. Best wishes. As I havnt knitted for a while I wanted something easy to do for my daughters friend who has a baby due in January, found this and did the 0-3 month one, it was so easy, just got to get some buttons and sort out ends, going to have a go at the hat today. Just hope young mums of today like hand knitted items! This little cardigan and matching hat turned out lovely! I am so impressed by this pattern and can safely say am addicted to it! Thank you Thank you Thank you! Thank you so much for sharing your pattern. I haven't knitted for years but suddenly got the urge when I found your blog. I am on my 4th little top now all of which will be raising money for charity. They are so easy and relaxing to make and use so little yarn. Best of all there's NO SEWING apart from the buttons! Great stuff! I have made this pattern for all the little girls in my life. I have the Bernat Jacquards yarn and would like to know the secret of getting it to knit correctly. Every time I try it the rows do not work up to a pattern. I would love to use this yarn but don't know the secret. Thanks for all your patterns. I just strated ith the pattern for 3 months old and I have a problem with 9th row. It doesn't add up to 75 stitches, I only get 71. I triple checked the pattern and I am quite certain that I followed your instructions exactly. Please help with some advice, since I would really like to finish this lovely top for my first newborn that is due in a few days. Thank you for all the amazing work that you do. Hi, I just wanted to thank you for sharing your beautiful patterns with us. I have made several of the knitted from the top jumpers for my new little grand daughter, they are so easy to make. I am going to make some of the premature baby ones to donate to the local hospital. Knitting is my therapy at the moment :). Hello Miss Marianna, I am a new beginner knitter and I have to say I loved and enjoyed making your ribbed sleeveless cardigan baby sweater, but I can't seem to find the other style pattern showing the stockinette baby sleeveless cardigan. Can you please tell me where to find it on your wonderful blog. Thank you! Avril I am knitting the same pattern and have exactly the same problem! I think I'll have to do my own maths to recalculate the stitches. After R31 it's just straight knitting to end. are you going to make a pattern for long sleeves? Thank you for sharing your patterns, they are so lovely! Hi, I love your patterns & learning to knit by reading them as I only knew knit & purl but I learnt from ur blog & knitted a few patterns of yours. Thank you soooo much for the lovely patterns. I want to ask u can I knit ur above pattern with 5mm needle throughout or is it must to knit with ONLY 4mm throughout ? i just love all your patterns.. you are my "go to" site for adorable and easy to do baby knits... just a quick question though.. any booties in the works for the all-in-one? How much would a cashmere sweater cost? I am making the all in one early born sweater. I was doing fine until row twenty five when was asked to knit some and cast off some. Then in the next row I was asked to knit a row. Well how can I with middle of the row all cast off. If I tried to knit the next stitch it makes a big loop in the middle. Way confused. Hi! I also knitted this lovely All-in-One top for my nephew's baby. Every pattern seems to be so nice and I learn lots about knitting from you. Thanks again. ;) As you know, it is very interesting to see how one yarn with knitting needles/sticks would shape the cardigan, boots, hats, etc. im a bit confused as the small newborn and the 0-3 month size both cast on 57 stitches. is this correct or a typo? Thank you for your patterns! My neighbor(who are extremely poor)'s teenage daughter just had a surprise baby (she had no idea she was even pregnant). She didn't have time to get anything, and needs everything. I'm going to be making her a bunch of different sweaters from your patterns. Thank you for sharing freely! Just made the "All-in-One Baby Top" in the 0-3 month size as a gift for a 1-mo old baby girl. It came out great, and looks adorable, just like in your photos! The pattern was easy to follow and I look forward to making the short and long-sleeve versions as well at some point. Thanks for making this pattern available! Marianna could you pls explain to me what is the symbol yrn? Thank you very much for yr reply. I am knitting the sleeveless matinee top and I cannot get row 25 to come out right. it says your suppose to have 111 stitches in it. I do th k18, cast off 20 stitches, k34, cast off 20, k17 but it still comes out wrong. I out figure out what I'm doing wrong. I just started knitting last year so I have some knowledge. Hi, I knit your pattern regularly in the first two sizes. I would like to vary the stitch pattern of the skirt, have you any ideas please? I didn't see a reply to my earlier comment, but I have finished a early or small baby size. I see Unknown above had a similar problem. Row 25 only adds up to 69, so I changed 34 to 35 and was fine until row 27 when I calculated the stitches worked I only came up with 69, so again I made a change by increasing each repeat one time. Because the pattern is girlish I would change the buttonhole to the right side next time I make it. Yrn means "yarn over needle "
You have to bring the yarn over the needle before knit stitch this makes a button hole. Could you please tell me if this pattern can be made in cotton yarn? Yes - this would be great in a cotton yarn. Could you please advise whether this can be made in cotton? Please help! I'm knitting the top For an early or small newborn baby. Row 27 - K2, yfwd, k2 tog, (k2, m1) 15 times, k3, m1, (k2, m1) 14 times, k6. Knit 2, m1 x15 and then you're almost at the end of the row and not enough stitches to do the next part x14. Glad that you asked this on my facebook group page :) - and really happy that you got it to work out OK ! !